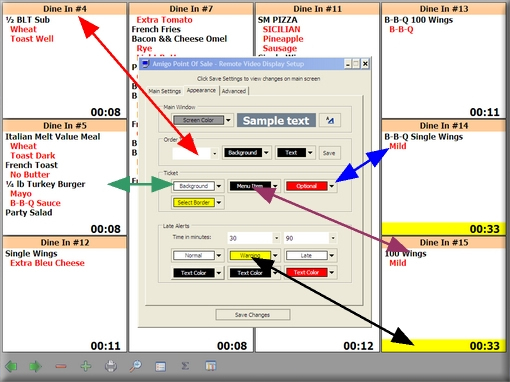 The Amigo Point Of Sale 2008 to release Remote Video Display Interface in July 2008 as a free update. This application runs on any standard or mini PC running .Net 3.5, including MS Windows XP and Vista. A programmable keyboard (bump bar) is recommended, although a touch screen will work as well. In addition, this application will resize itself to any screen resolution, allowing the use of large monitors mounted out of reach but still easily readable. The display can run in ticket mode or list mode. When running in ticket mode, up to 12 tickets can be viewed at one time. In list mode, each menu item is displayed on a single line; useful for drive through environments.